Any Known Good 5 Axis Kits/Components for >8'x4' CNC Routers? I'm looking to build a machine for doing light hobby work in aluminum, MDF, hardwood, and acrylic. I've got a Tormach 1100, but I want something with less precision and more working space. I'd be happy to build it, and LinuxCNC is a must. Pathpilot was a huge upgrade for my Tormach. I don't need an all-inclusive kit, and I'd be happy to build the base from scratch. Any favorite machines or at least components around here that fit the bill? I'd like to keep it well under $40k if possible, but I also want it to be capable of doing some decent detail work for small parts in aluminum and will pay more for more rigidity, less backlash, and better repeatability. 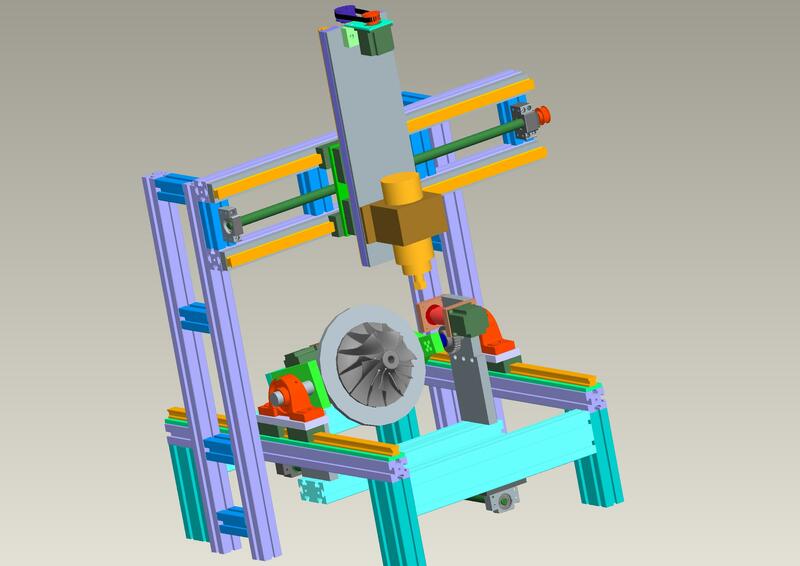 Replied by pl7i92 on topic Any Known Good 5 Axis Kits/Components for >8'x4' CNC Routers? Replied by tommylight on topic Any Known Good 5 Axis Kits/Components for >8'x4' CNC Routers? 40K can buy you a "usable" machine or can build you a very nice machine that would rival most industrial ones. If you have the time, do build one, and for that price and dimensions it will also do mild steel.